At age 19, Kevin Hines attempted to take his life by jumping from the Golden Gate Bridge. Seventeen years later, he still struggles with many of the same symptoms that led him to attempt to take his life, but he is on a mission to use his story to help others stay alive. Kevin has also been one of the key catalysts in helping end a nearly 80-year long fight to construct suicide prevention net on the iconic San Francisco bridge. 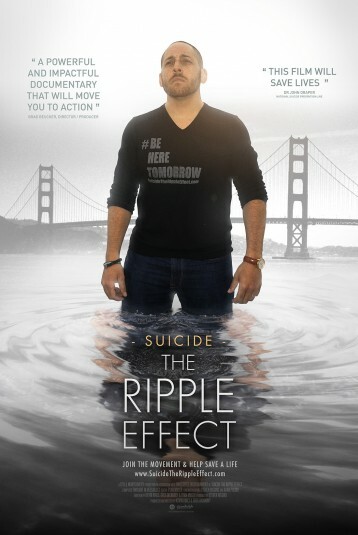 Kevin takes a journey to better understand the ripple effects his suicide attempt had on his family, friends, and the first responders who helped save him. He’s also working to shine light on inspirational individuals, families, and organizations who are using personal pain to help others find the hope they need to heal. Across the globe, nearly 1 million people die annually by suicide. In the United States alone there are one million suicide attempts in a given year and over 40,000 deaths by suicide, with our military being hit particularly hard. Research has shown that for every one death by suicide, over 115 people are directly affected and impacted. The estimated financial cost of suicide is over 40 billion dollars annually. People around the globe are uniting and responding to calls for change with the goal of having a tremendous positive impact on reducing the number of suicides and suicide attempts around the world. #BeHereTomorrow.